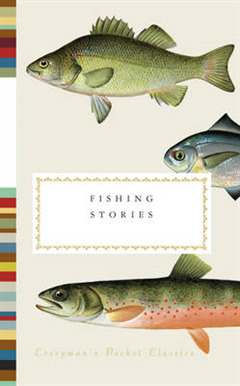 Fishing Stories nets an abundant catch of wonderful writing in a wide variety of genres and styles. The moods range from the rollicking humour of Rudyard Kipling's "On Dry-Cow Fishing as a Fine Art" and the rural gothic of Annie Proulx's "The Wer-Trout" to the haunting elegy of Norman Maclean's "A River Runs Through It." Many of these tales celebrate human bonds forged over a rod, including Guy de Maupassant's "Two Friends," Jimmy Carter's "Fishing with My Daddy," and Ernest Hemingway's The Garden of Eden. Some deal in reverence and romance, as in Roland Pertwee's "The River God," and some in adventure and the stuff of legend, as in Zane Grey's "The First Thousand-Pounder" and Ron Rash's "Their Ancient Glittering Eyes." There are works that confront head-on the heartbreaks and frustrations of the sport, from Thomas McGuane's meditation on long spells of inaction as the essence of fishing in "The Longest Silence" to Raymond Carver on a boy's deflated triumph in the gut-wrenching masterpiece "Nobody Said Anything." And alongside the works of literary giants are the memories of people both great and humble who have found meaning and fulfillment in fishing, from a former American president to a Scottish gamekeeper's daughter. Whether set against the open ocean or tiny mountain streams, in ancient China, tropical Tahiti, Paris under siege, or the vast Canadian wilderness, these stories cast wide and strike deep into the universal joys, absurdities, insights, and tragedies of life.